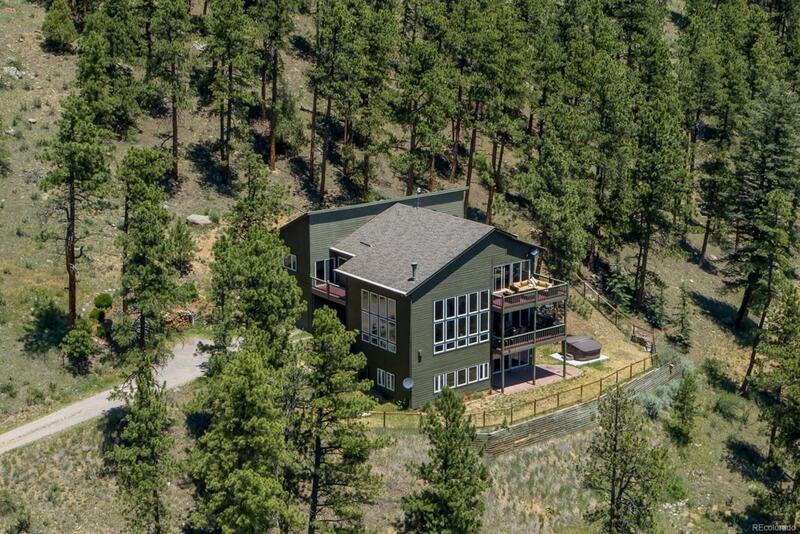 This classic Colorado home is ideally located on a serene lot that commands exquisite mountain views. Beautiful vaulted ceilings, open spaces and expansive two-story windows capture the views and allow for substantial light throughout the day while also bringing the outside in. Spacious main rooms flow effortlessly for large-scale entertaining yet provide a cozy sense of intimacy for small gatherings. An open and current kitchen adjoins the great room and dining and gives access to the large covered deck and stunning views while the upper level offers a master suite with relaxing ambiance, spa like bathroom and private deck along with 3 additional bedrooms and full bath that also enjoy views and decks. A large walk-out lower level provides spaces to suite all needs. Character defining features such as beautiful hardwood floors, maple cabinetry and expansive outdoor living areas can be found throughout, creating a home that is exceptional yet low-key and unpretentious.